Of late, the relationship between South and North Korea has dominated the news wires both home and abroad, though not because of the escalation of tensions that many residents here are accustomed to. Rather, the opposite — the historic summit between South Korean leader Moon Jae-in and North Korean leader Kim Jong-un on April 27 signified a new beginning in inter-Korean relations. But given how quickly things have developed, it underscores the precarious relationship between the two countries along with the wider geopolitical forces involved — much of which has been reflected in Korean cinema. From the 1960s through to the 1980s while South Korea was under the autocratic rules of Park Chung-hee and Chun Doo-hwan, films depicting the North were largely anti-communist features. Securing financing and passing censorship was only possible if North Korean ideology was villainized with little room to humanize North Korean characters. Director Lee Man-hee was arrested in 1965 for the sympathetic way North Korean soldiers in “The Seven Female POWS” were conveyed; he was released only when he agreed to edit out the problematic scenes. The blockbuster “Shiri” (1999) was a turning point for the Korean industry as it emulated Hollywood tentpole features while tailoring them to local audiences through its backdrop: inter-Korean relations. Released a year after Kim Dae-jung became president, his administration seeking to improve the relationship with the North through his so-called “Sunshine Policy,” director Kang Je-gyu attempted to reflect the wider geopolitical climate rather than simply depicting the North Korean characters as communists. 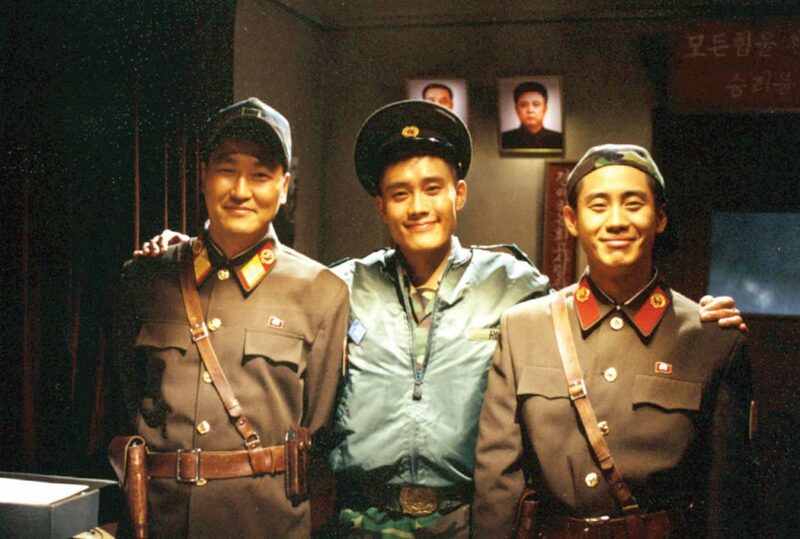 Park Chan-wook’s “Joint Security Area” (2000), which hit screens more than a year later, took it a step further with South and North Korean soldiers interacting with each other, forming a friendship, unthinkable in films during the 1960s, ’70s and ’80s. The fact that these films were hugely successful, breaking box office records, reflects how the national sentiment in the films resonated with audiences. Since then, inter-Korean relations has been tackled in a number of films, including “Welcome to Dongmakgol” (2005), “Secret Reunion” (2010), “The Berlin File” (2012) and more recently, “Steel Rain” (2017). While the relationship between the two countries is still conveyed as volatile, there is a continued emphasis on portraying North Korean characters as protagonists rather than merely depicting them as villains — though the government in North Korea and its ideology is typically portrayed as an enemy. Going forward, it’s a particularly interesting time in how North-South Korean relations will be projected on screen with three major films dealing with the subject being released this year. Yoon Jong-bin’s thriller “The Spy Gone North,” starring Hwang Jung-min as a South Korean spy sent to infiltrate the North in the 1990s to obtain evidence on their nuclear weapon plans, is set to be released this summer following its world premiere at the Cannes Film Festival. Rather intriguingly and seemingly well-placed given current developments, Kim Jee-woon’s “In-rang,” which is based on the 1999 anime “Jin-roh: The Wolf Brigade” by Hiroyuki Okiura, is set in the future. South and North Korea have agreed to set up a unified government, and a task force is formed to counter terrorist opposition. Starring Gang Dong-won and Han Hyo-joo, the film should be released this summer. Later on in the year, Kim Byung-woo’s “Take Point,” featuring Ha Jung-woo and Lee Sun-kyun, about a group of mercenaries who try to apprehend a high-profile North Korean official, is also to hit screens. Given how rapidly developments on the peninsula are changing, it’s possible that some of these films might seem at odds with the current situation. But if relations are set to further improve in the long-term under Moon Jae-in’s administration, it’s likely that North Korea-themed narratives in South Korean features will also continue to evolve.